I love this wall of different kinds of hats. It is from a museum in Xinjiang, China I visited last week, and represents many of the 47 different peoples of that region. Yes, I know, it takes a bald man to notice hats! And yes I do have a few of these in my own collection! 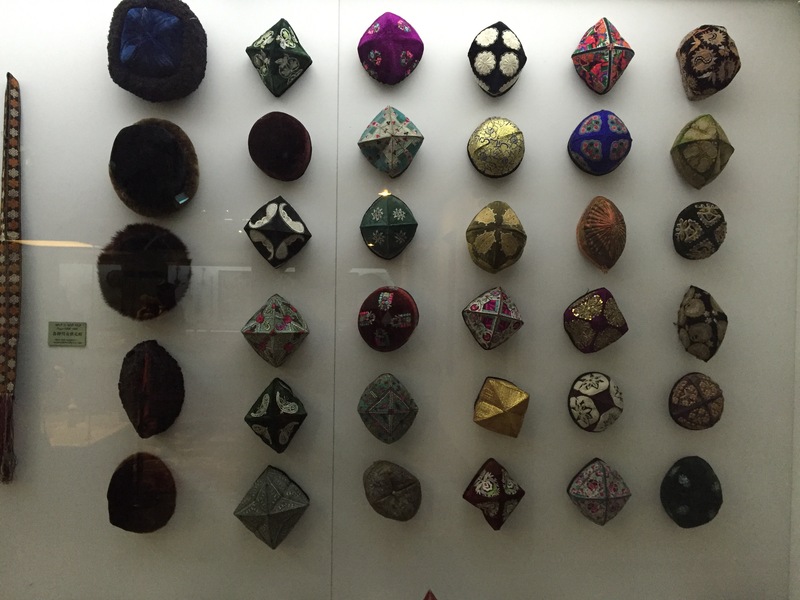 Hats, called “topis” in several Muslim cultures, are as varied in color and design as the peoples they belong to. And these are just representing the men! If you add head covering for women it becomes even richer and more diverse. Head covering is about so much more than hats. Around the world it is a sign of uniqueness, of honor, of distinction. At times of protection and security. As I see all these hats, I see people who are human, with their own dreams and destinies. It can be easy to see people as numbers, as members of alien religions or lesser classes to us. But each person longs for significance, even our enemies. Next time you see a person in a unique hat (at least unique to you), pause a moment to be thankful for their humanity. It is not just a time killing activity for bald people. Did you get to keep the Oxford hat?